Exhausted moving from one apartment to another?? Here’s the answer to all your queries. Why not look for a resale flat of good value!! With ever increasing rentals on homes, it has made paying rents difficult for families. However, resale of flats has been emerging with cost-effective values and instant shifts. The instant shift label is gaining a lot of attention on people who look for resale flats. Now you can utilize your saved money on interiors to decor your homes to make it more elegant. Instead of getting anticipated on the realities ups and downs or for the alluring traps of the developers, look for options that cater you with precise solutions. The resale apartments can be availed at reasonable discounts same as getting a new home. Is it the affordable cost along with the efficient resale flats making it an alternative for novel bed-sitters?? Well, how much does it vary in cost?? Have a look here!! Variation in Price and the cost differs depending on the varied factors such as the city, location and the name of the developers, the years of the flat and so on. son, it may require to pay 20% down payment as cash than that of buying a new home.Extra expenses may come your way in the form of registration fees, stamp charges, transfer fees, utility transfer fees and realty agent fees etc. In some cases, the previous proprietor would have not cleared his dues with the building management which has to be settled out by the new owners. Apart from this, minor expenses for makeover of interiors and exteriors, parking/ security charges might be included. Beyond the mentioned cons,there are some pros while getting a resale property. Whether it is a new property or a ready to move or property under construction, every resale property has its own pros. If there is an increase in the property price, the resale property offers a spark of hope with cheaper rates. Buying a resale or a ready to shift home enables buyers to save the money they have invested. This would help you to avoid paying unnecessary EMI or rent in case of under-construction property dwelling. No eye-washing or sugar-coated amenities or statements about the property is there when you buy. Everything is brought in front of your eyes to own it. Be cautious when buying an apartment in the resale sector, since there are certain things to look upon. Check the documents prudently which is the important thing. 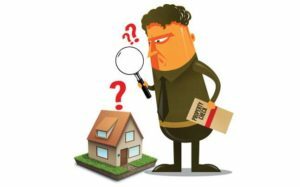 It is necessary to pre-check whether the dealer owns the property. Make sure the dealer has no dues for the building, society and house so that you will have a hassle-free living. It is vital to see the condition of the apartment before buying it. Ensure that it is maximum 1-5 years used. Good connectivity to all prime areas. All this will help you to acquire safe and reliable homes when you search for resale homes. This entry was posted in News and tagged Property Management Hyderabad, Property verification Services Hyderabad on December 18, 2018 by Venkat Chunduru.